Kat Saka’s Kettle will transform everyone’s favorite grain into tasty snacks! 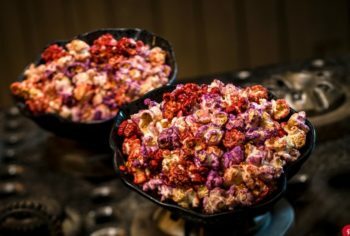 Black Spire Outpost — the village on the planet of Batuu where Galaxy’s Edge is set — will serve up flavored popcorn at Kat Saka’s Kettle in sweet, salty, and spicy varieties. Kat Saka’s Kettle will serve popcorn in several varieties.